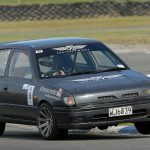 The Wairarapa Car Club is hosting MotorSport New Zealand’s ClubSport Championship over the weekend of 16 and 17 March. 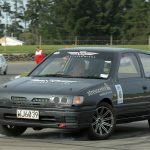 The NZ ClubSport Championship incorporates three very popular grassroots motorsport disciplines which form the basis of many New Zealand motorsport club events: · Motorkhana – an entry level event, run on a grass or sealed surface, where a competitor navigates their.. The premier Gold Star title at the 2018 New Zealand ClubSport Championship, held in Christchurch on 17 and March, was won by Cameron Morison, a Christchurch-based pilot in his twenties. Invercargill’s Rachel Lawrie, a 33-year-old accountant and mother from Invercargill, took out the Women in Motorsport NZ ClubSport Champion’s title and 18-year-old trainee mechanic Jordan Grant, from Tauranga, won the..